But what does it mean for a story to be ‘true’? The first versions of this tale were written down in in the middle ages in a number of different hand-written texts. The oldest of these was compiled in around 1220 in a manuscript called Morkinskinna, which means ‘mouldy skin’ (the parchment it was written on was made of vellum, made from the stretched and dried skin of a calf). The most famous version, however, was written by an Icelandic chieftain and historian called Snorri Sturluson around 1230. Snorri was a remarkable man. As well as twice being elected to Iceland’s highest official post – Lawspeaker (Lögsögumaður) – he wrote a number of works about traditional Scandinavian poetry and mythology, but also a sprawling compendium of King’s Sagas (tales) called Heimskringla (the circle of the world). 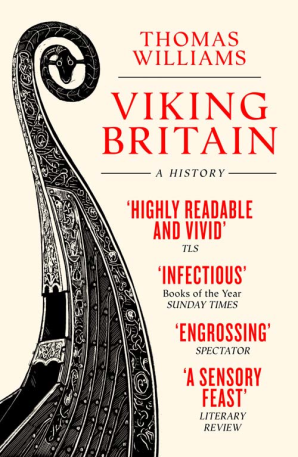 Harald’s Saga forms a small part of this great work. Snorri was very careful to present what he thought were true accounts of the lives of the kings of Norway. He made great use of earlier histories – like Morkinskinna – and often used fragments of poems (called skaldic verse) which were written during the lifetime of the Norse kings, and remembered long afterwards. In the case of King Harald, we have a little more to go on. He was mentioned in histories written in the Byzantine Empire where he was described as a Varangian with a prominent rank in the Imperial army. His invasion of England is also described in the Anglo-Saxon Chronicle. So we know he existed, and the broad outlines of his life as presented by Snorri seem more or less accurate. However, poems in praise of kings are rarely even-handed, and some of the details seem improbable and are rather similar to folk-tales told about other kings. Most telling of all is that some of the stories sound very much like the boasting of a man in later life about the glories of his youth, at a time when no one could contradict his version of events. If this is so, we can expect some of these stories to contain a degree of exaggeration. The version of Harald’s story that is written in this book [The Tale of King Harald] is fairly true to Snorri’s account of Harald’s life in Heimskringla. In some places I have added details taken from earlier sagas, especially Saint Olaf’s Saga (the tale of Harald’s half-brother who died at the Battle of Stiklestad). 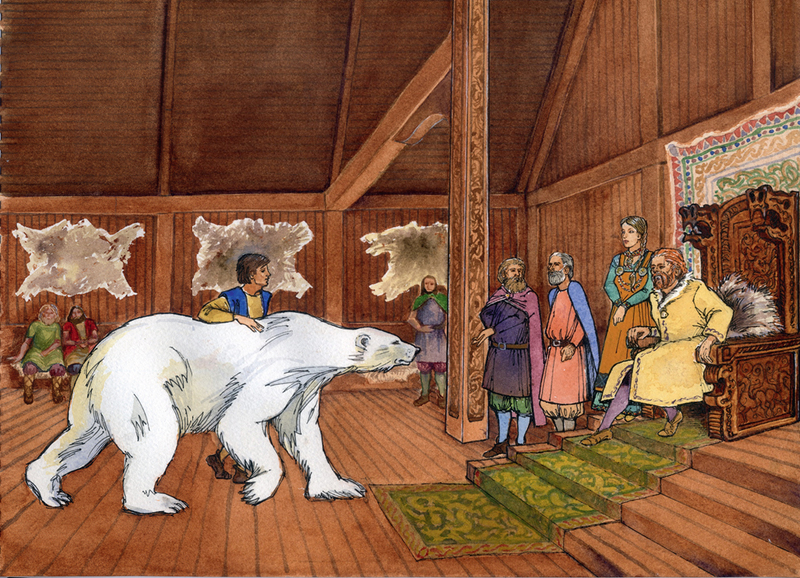 The tale of Audun and the polar bear is taken from a short story written about Harald and preserved in Morkinskinna, and a few details have been added from other sources that mention Harald and the period in general. Much of the dialogue is adapted from the saga, but by no means all of it. The biggest changes I have made are to the length of various sections of the narrative. In Heimskringla, Harald’s time with Yaroslav is told on a single page, and much of chapter 2 has therefore been fleshed out with other details of the period taken from other sources. On the other hand, chapters 3 and 4 present a greatly compressed version of Snorri’s story-telling. In particular, the politics of Norway and Denmark during Harald’s reign have been simplified. I don’t think Harald would have minded these minor changes. For a Viking, the most important ambition was to live long in memory; I am sure he would be pleased to know that his legend continues to be told.